The non-performing notes sector has been booming after the market went into debt due to the recession in 2008 and 2009. Now, the banks are selling the non-performing notes rather than foreclosing on them. Maintaining real estate is not what the banks want and that’s why they are now willing to sell these non-performing notes at a discount. Let’s discuss what NPN’s are in case you are new to this type of investing. NPN’s are non-performing loan agreements, which became defaulted due to the non-payment of the mortgage. From 2002 – 2009 the banks financed many real estate transactions and then due to the recession, the actual value of the property declined very rapidly. Many homeowners during that period bought their homes to make a profit while the market was on the rise, but when the price of their real estate declined they failed to make the mortgage payments. Now, banks have over a billion dollars in NPN’s in which they are now selling at a much lower sales price. The benefit of purchasing NPN’s is simply to make a profit. You can buy the property for 30-60 cents on the dollar. You can then either negotiate a new loan term with the buyer or foreclose on the property. However, you have to consider many things before buying any NPN. There are different foreclosure laws in the different states, so get yourself acquainted with all the laws related to foreclosure. 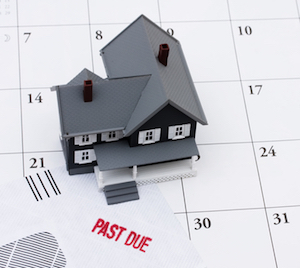 Some states have flexible laws related to foreclosure and can be completed quickly. On the other hand, some states have a very lengthy process of foreclosure like Florida. So, do some initial research about the laws if you don’t want to involve yourself in long judicial procedure of foreclosure. You must check the legitimacy of the notes and read all the related amendments and assignments of the note properly. You have to do your due diligence before purchasing the transaction, so try to gather as much information as you can from the lender before the due diligence process actually begins. If you are buying a multifamily property, then you may want to invest some money in remodeling to increase the selling price of your property in the future. The buyers who are willing to buy your property would not want to buy unmanaged properties from you or may not be willing to pay higher prices, which you may expect for your profit. Make sure to pay the real estate taxes and homeowner’s association dues after buying the property. Many public associations and municipalities of some states are liable to foreclose on the property for the reimbursement of the non-paid tax by the lender. Although the Federal Regulators are not willing to get involved with the NPN’s; the local jurisdictions are willing to and you must confirm the amount of any unpaid taxes. The Real Estate market has been improving from this last recession and now the prices are on the rise. Now is the right time to invest in NPN’s to make some profit on a short term or long term basis. 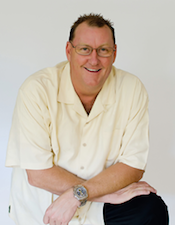 Troy Fullwood is a nationally known mortgage investor, speaker, and author. In 1996, he founded Pinnacle Investments, a principal buyer of first lien performing and non-performing real estate notes. How To Get Your Slice of a 580 Billion Dollar Opportunity! I’ve watched Troy Fullwood’s video. It seems very interesting. Is your training and his training one in the same? Or do you recommend me to take both training?